The Revolax range are non-animal based hyaluronic acid fillers with high purity and are a completely natural substance optimized to synchronize with human skin tissue. Revolax has high visco-elasticity, which is one of Revolax standout properties. The fillers and are used for adding volume to facial tissue, improving wrinkles and folds and restoring a smooth appearance to the face. Revolax uses only the highest purity of Hyaluronic Acid through bio-fermentative origin. 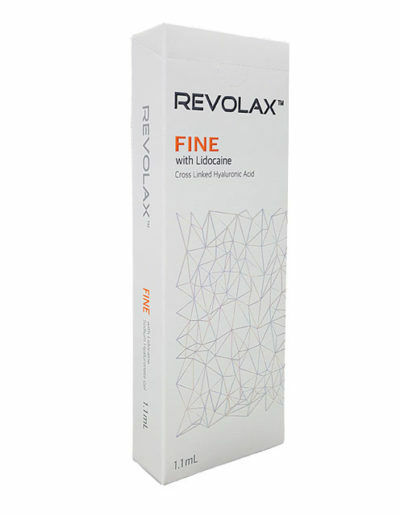 Revolax Fine Lidocaine is a lightweight/high viscoelasticity dermal filler, designed for treatment of superficial lines, including crow’s feet, glabellar lines and neck wrinkles. It quickly absorbs into skin creating very natural and healthier look to the injected area. Revolax Fine Lidocaine is a biodegradable, non-animal based, crystal clear cross-linked dermal filler. Revolax Deep Lidocaine is a thick and longer lasting gel, used to treat deep wrinkles and nasolabial folds or augmentation of the cheeks, chin, and lips. This mono-phasic HA filler is to be injected in deep dermis or subcutaneous tissue. Revolax Deep Lidocaine is a biodegradable, non-animal based, crystal clear cross-linked dermal filler with high viscoelasticity. Revolax Sub-Q Lidocaine has the thickest properties within the product line. With its advanced ability to mold, maintain structure and longevity, it is recommended for treatment of deep sized to extremely severe wrinkles including nasolabial and face (cheek, chin, or nose) contours. Revolax Sub-Q Lidocaine is a biodegradable, non-animal based, cross-linked dermal filler for subcutaneous implantation. Revolax Deep is a thick and longer lasting gel, used to treat deep wrinkles and nasolabial folds or augmentation of the cheeks, chin, and lips. This mono-phasic HA filler is to be injected in deep dermis or subcutaneous tissue. Revolax Deep is a biodegradable, non-animal based, crystal clear cross-linked dermal filler with high viscoelasticity. Revolax Fine is a lightweight/high viscoelasticity dermal filler, designed for treatment of superficial lines, including crow’s feet, glabellar lines and neck wrinkles. It quickly absorbs into skin creating very natural and healthier look to the injected area. 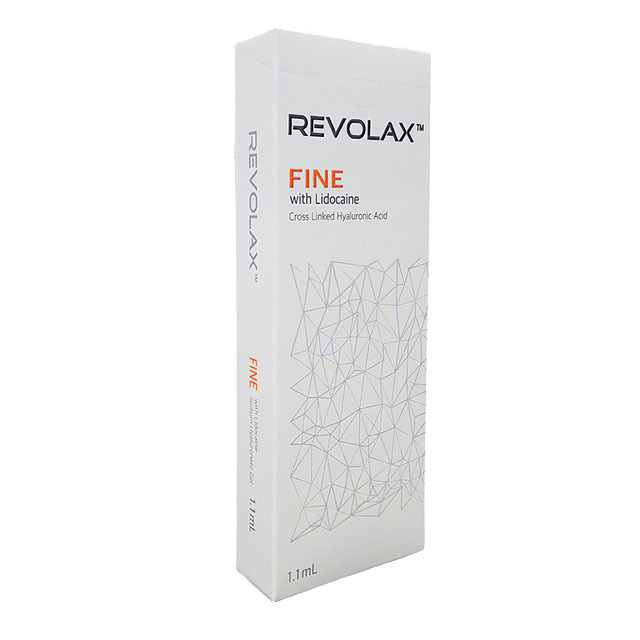 Revolax Fine is a biodegradable, non-animal based, crystal clear cross-linked dermal filler. Revolax Sub-Q has the thickest properties within the product line. With its advanced ability to mold, maintain structure and longevity, it is recommended for treatment of deep sized to extremely severe wrinkles including nasolabial and face (cheek, chin, or nose) contours. Revolax Sub-Q is a biodegradable, non-animal based, cross-linked dermal filler for subcutaneous implantation.